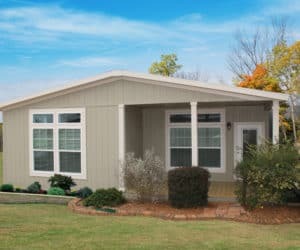 Come take a look at this open concept 2 bedroom, 2 bath modular home. You’ll fall in love with the large, open concept kitchen with a large, curved island bar. Plenty of tall windows allow natural light to enter, creating a warm and cozy feel to the Teresa. The floor plan is only the beginning! At Pratt Homes, we design a personalized home for you! If you want to decrease square footage or add additional space – No problem. Interested in using a bedroom as an office or media room? We can design that! Use the floor plan below as a starting point, and let the in-house designers at Pratt Homes in Tyler help you create the perfect home for YOU! 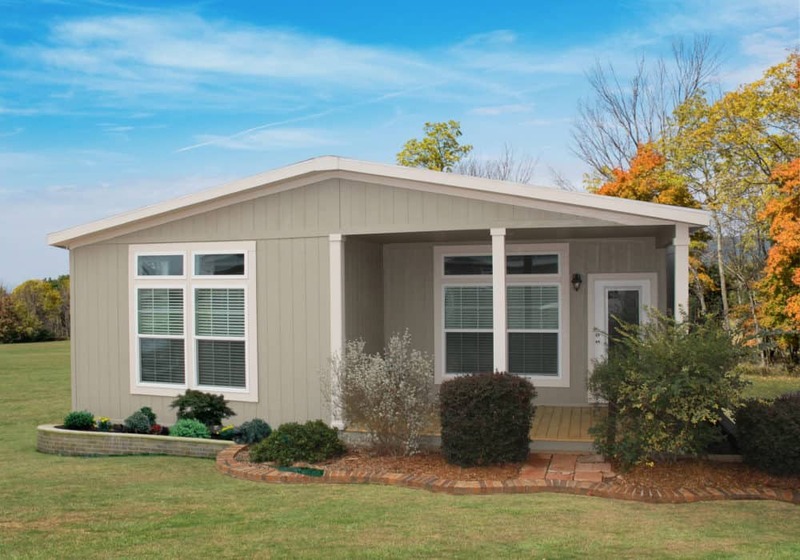 Curious about financing options for your new Modular Home? Find out how easy it is to secure financing through our in-house finance department. We can explain all the different types of loans and programs available to our customers. We are here to help you find the most appropriate program for YOU! Because no two families are alike, we believe that no two houses should be exactly alike. At Pratt Homes’ our commitment is to personalize each home. We offer virtually endless options and upgrades and a wide range of customizable standard features. The choices are all yours to make. Add your own charm to the home of your dreams. Give us a call or complete the form and one of our Pratt Home team members will be happy to discuss ways to design your new modular home to be as unique as your family. The Teresa, like all of our Pratt Modular Homes comes with an industry leading warranty. This is just another way that Pratt Homes sets itself above the competition. Pratt Homes is located in beautiful Tyler, Texas. However, our 13 acre landscaped “showroom” has been bringing customers from as far away as Lawton, Oklahoma; Fayetteville, Arkansas; and Lafayette, Louisiana. We don’t let state lines stop us from delivering our Modular Homes to you.